A lovely busy morning spent at Robin Wood. The children were introduced to the Forest School code of conduct before playing a game of 1,2,3 Where are you? They found some good places to hide around the wood. We discovered some camouflaged elf hair which led us to a letter from Willow the woodland elf asking us to help find his lost woodland friends. He very kindly left us a special treat of hot chocolate and biscuits to enjoy at snack time. The children spent the rest of the morning enjoying freeplay and exploring the woodland. We finished the morning warming up with the hot chocolate that Willow the woodland elf left. This year to date, forty pupils from year five and six have officiated School Games activity. The pupils in the photograph below officiated the House Hockey Festival for RH, LC, KVJA and SC. Leading a sports event is one part of the sports leader offering at SRH. Other duties have included attending sports leader training. Of which, most pupils did earlier this year, and this was in their break time. What keen learners we have! On Thursday 14th February 2019, pupils from four classes came together to compete in a Hockey festival. On eight pitches, sixty-four pupils competed in three matches against other houses in their year group. 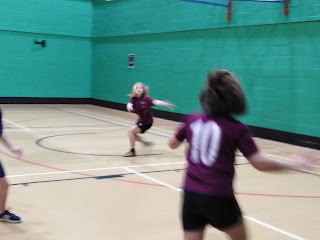 The teams were mixed and matches were officiated by sports leaders in year five. 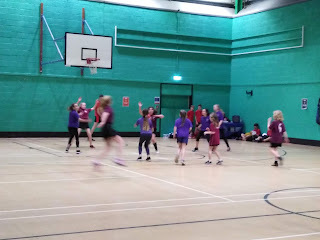 Teachers were delighted by the sporting conduct and fair play that was exhibited by all pupils. Class CH enjoyed a lovely last session at Robbin Wood, the sun was shining and was perfect for a campfire. We started by introducing the fire triangle and the children helped to identify what was needed to light a fire, fuel, heat and oxygen. We talked about safety, as the fire was set ready for snack. The children went and explored the woodland, accessing resources and using their imagination to create stories using the woodland animals, while others went on a worm hunt. A wonderful home for the woodland friends. Lots of worms were found today. We gathered for snack around the fire circle before lighting it and cooked popcorn for the children to share. The children then ended the session but reflecting on their time spent at Robbin Wood by safely extinguishing the fire. 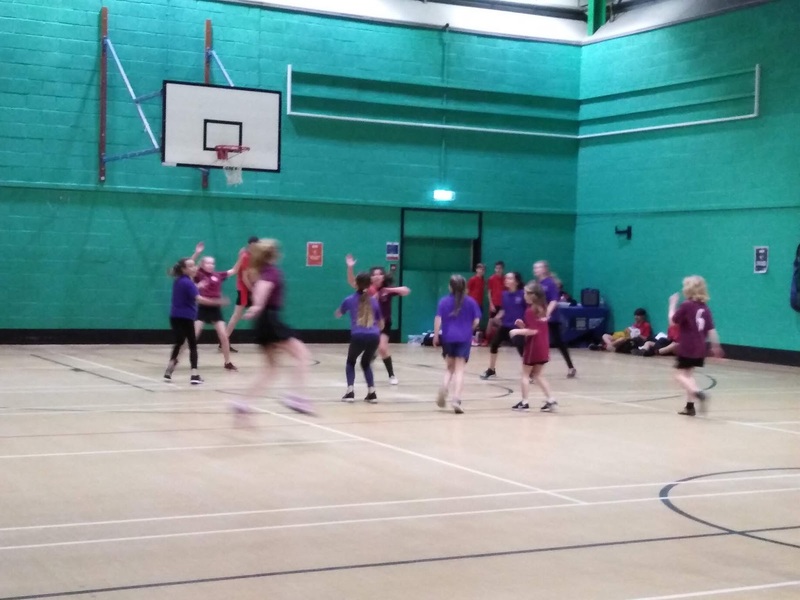 On Wednesday 13th February, eleven pupils from year five represented the school in a School Games level 2 basketball Tournament. The children have practised during their break times in preparation for the event. 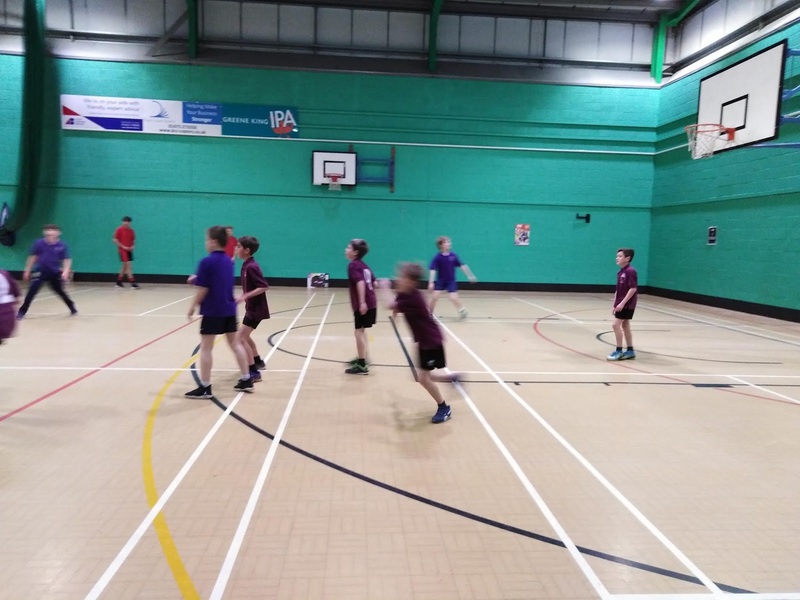 Here's what some of our Year 5 Basketball team had to say about the tournament yesterday. Kit - I really enjoyed today, it was fair and everyone enjoyed themselves. 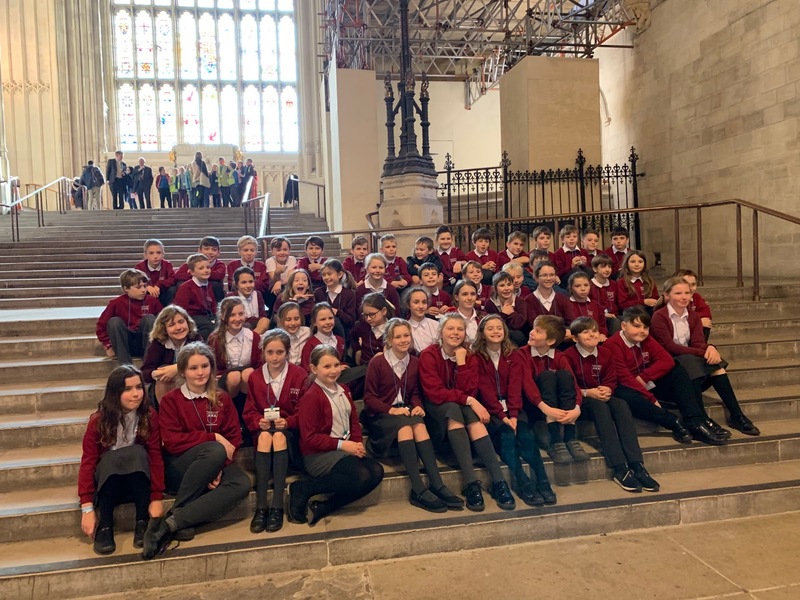 Year 6 enjoyed a fantastic day in London on Wednesday, visiting Westminster Abbey and The Houses of Parliament. First they explored the treasures, tombs and memorials in the Abbey and then they were lucky enough to watch part of a live debate in the House of Commons. This enabled them to make their own debates about smoking and homework in the Workshops very realistic. The day ended with the much anticipated visit to the service station for tea on the way home. 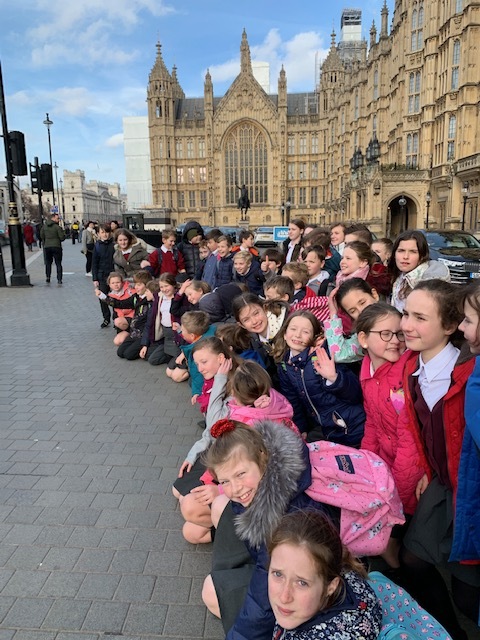 It was agreed that everyone had all learned a great deal and been inspired by some amazing experiences. Open the book shared the story of Jesus being baptised. The story was acted out with John wanting to live a very simple life. Many people came to be baptised and follow in John's steps living a simple life. He sometimes even ate locusts or slept outside under the stars. Jesus came to be baptised. We heard how, as soon as Jesus was baptised, the sky opened up and the Holy Spirit came like a beautiful white dove, and landed right on Jesus shoulder. Then a voice from heaven said, "This is my Son, I love him and I am pleased with him." This made us understand how special Jesus is. We prayed about people who were special to us - our family, friends and thought about our school family and how special everyone is. Shiver me timbers! There’s no scurvy in Class LH!! What would you eat if you were marooned on an island? We discussed the possibilities of going fishing, hunting for mammals and birds and then we thought about the vegetation and plants and what we might find that we could eat. We discussed how, if pirates didn’t eat a lot of fresh fruit and vegetables, they often suffered from scurvy. We all decided it would be better to eat fruit!! We also talked about how we would catch the animals using natural materials such as sharpened sticks, bones from dead animals, beaks to act as a scoop and sharp flints to cut up the animals and fish with. We then, as part of our DT made fruit kebabs. Firstly, we cut up the fruit using the arch and bridge method. We had to saw really hard for the pineapple. After that, we then used a tasting sheet to try the fruit and decide which one we liked and did not like ready to make our own kebabs. Even though James was not very keen on kiwi and Diego and Delilah were not very keen on pineapple, they all gave it a go and tried it. Then we each made our own kebab using our favourite fruit. Finally we decided how it tasted as a kebab and also thought about what we would do differently next time and why. We then finished off the lesson making a tally of Class LH's favourite fruit which we are going to use to make pictograms and bar charts.